The Health and Safety demands today are much more rigorous. 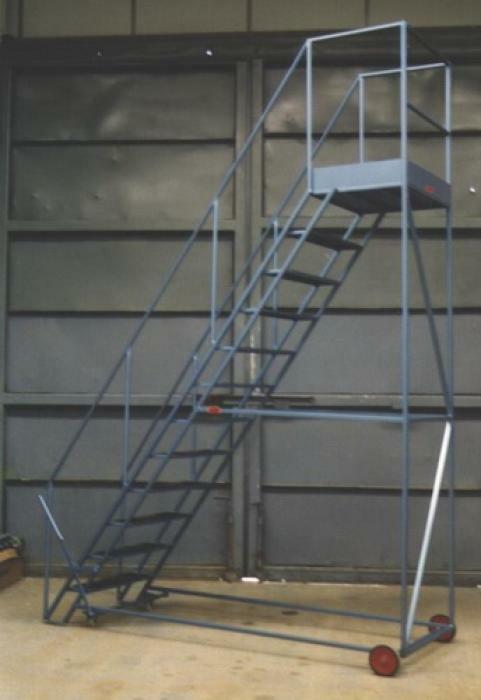 Here at Bowson Engineering we can offer custom designs or standard options. 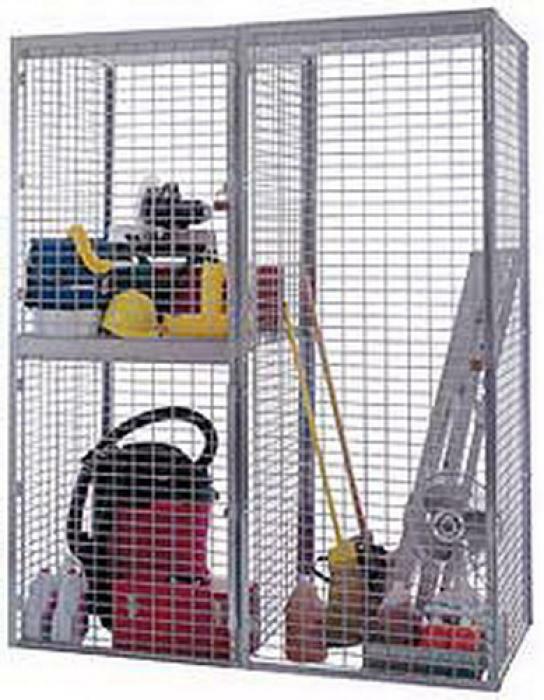 Steel Cages are for many uses including storage. 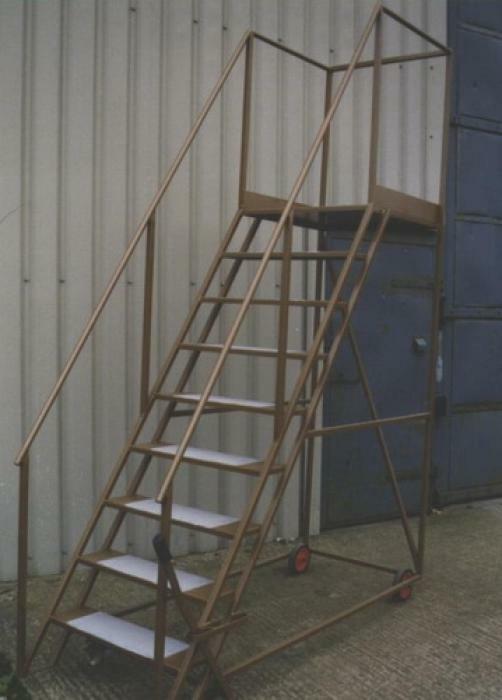 Safety steps that are mobile for ease of use and lockable wheels to secure the steps in place. 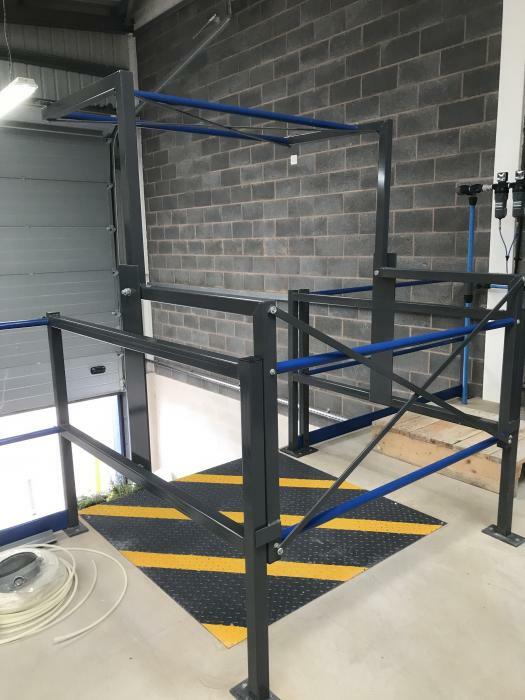 Protect an Open Edge on Your Mezzanine Floor - use an Easy Fit Pallet Gate. 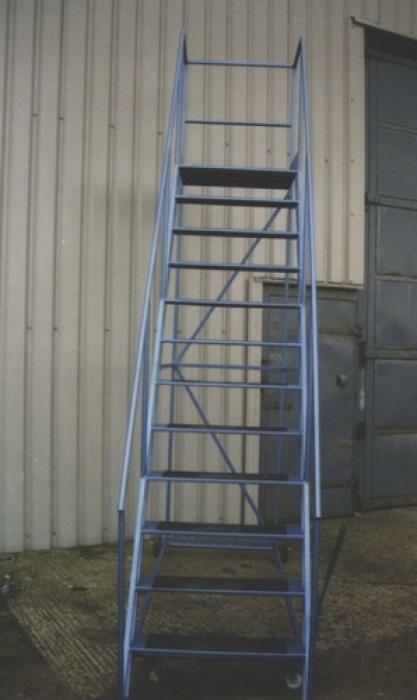 Pallet gates made to order - custom size's available for individual requirements. 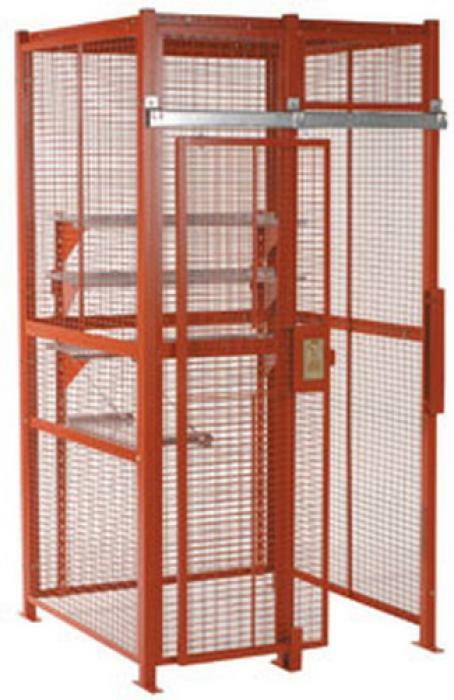 Using a Forklift safety gate ensures safety in modern warehouse environments. 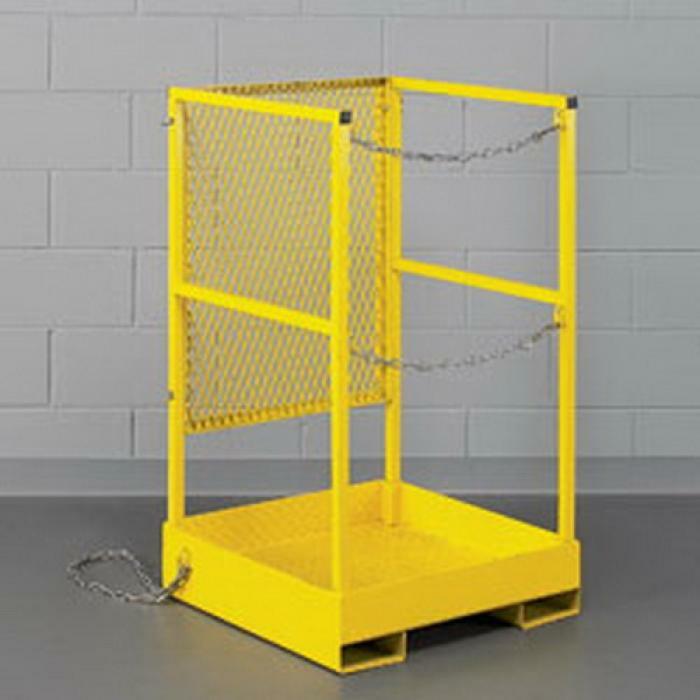 When transferring loads between levels a pallet gate can provide operator safety. The forklift truck will place the goods inside the gate. 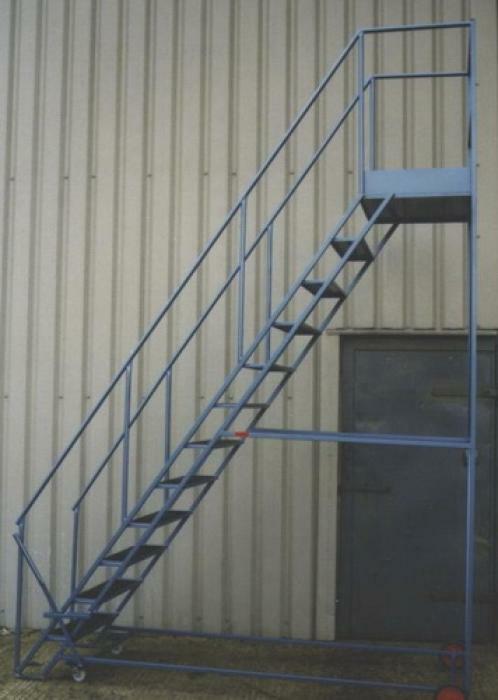 When on the mezzanine floor simply push the gate upwards to gain access to the load.